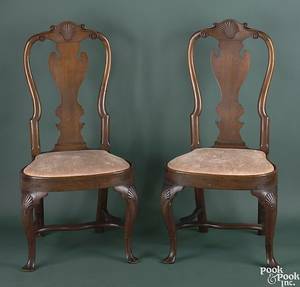 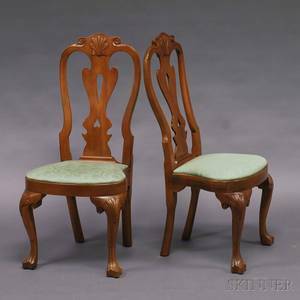 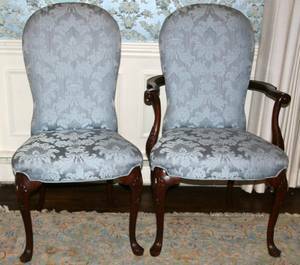 Pair of Kittinger Queen Anne style dining chairs, branded. 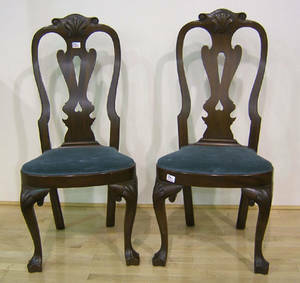 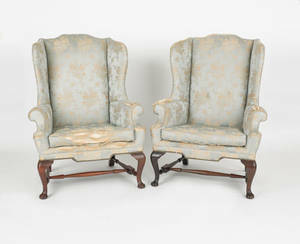 Pair of Kittinger Queen Anne style wing chairs. 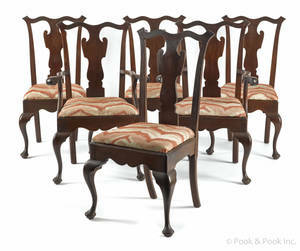 Set of six Queen Anne style dining chairs. 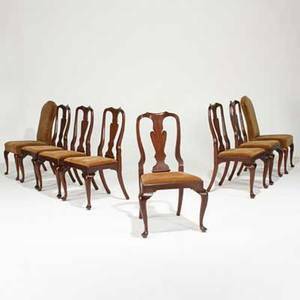 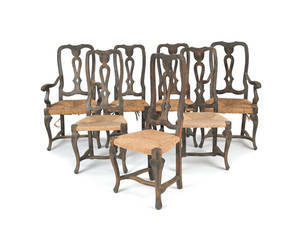 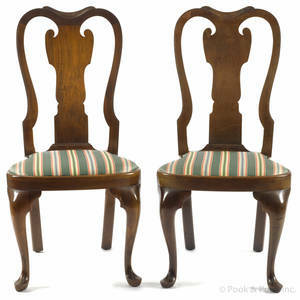 Set of seven Queen Anne style dining chairs. 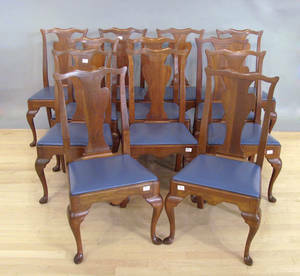 Set of twelve Queen Anne style dining chairs.